I hadn’t really thought about it until I happened upon a homeless San Francisco man last week. A signature is an artistic statement of personal identification. It was a Wednesday afternoon and I had stepped outside to enjoy the January “winter” air in San Francisco, revealing in the 60 degree break from Chicago’s polar vortex. As I walked along, a homeless man unexpectedly sprawled down on all fours on the sidewalk just ahead of me. I paused to assess the situation for safety (his and mine) without trying to stare. The disheveled bearded man encircled a space on the pavement until he found exactly the right canvas. He then prostrated himself on the cement with a bit of chalk in his hand poised for marking. At first I thought he might be a sidewalk chalk artist or going to message something against humanity, but after watching him meticulously craft each cursive letter, I realized he was leaving his signature. I found this both uplifting and disturbing. “Jeffery” finished his sidewalk signature masterpiece and then quietly got up and began seeking the next spot for his work. Upon inspection of his sidewalk signature, I noticed the “t” in his last name was fashioned to represent a crucifix. A cry for help? A statement of faith? A message of evangelization? I guess that was up to me to interpret. All I could do was wonder, what Jeffery’s life was like before he was homeless. Was he an artist or someone of prominence who fell on hard luck? Perhaps he is a veteran or someone who stopped taking his medication for a mental or other illness? It was clear to me that Jeffery’s day consisted of seeking out the right location for his signature artwork again and again. Perhaps as a reminder of who he is…or more likely, was. His signature artwork looked to be a personal reminder and his remainder of personal dignity. 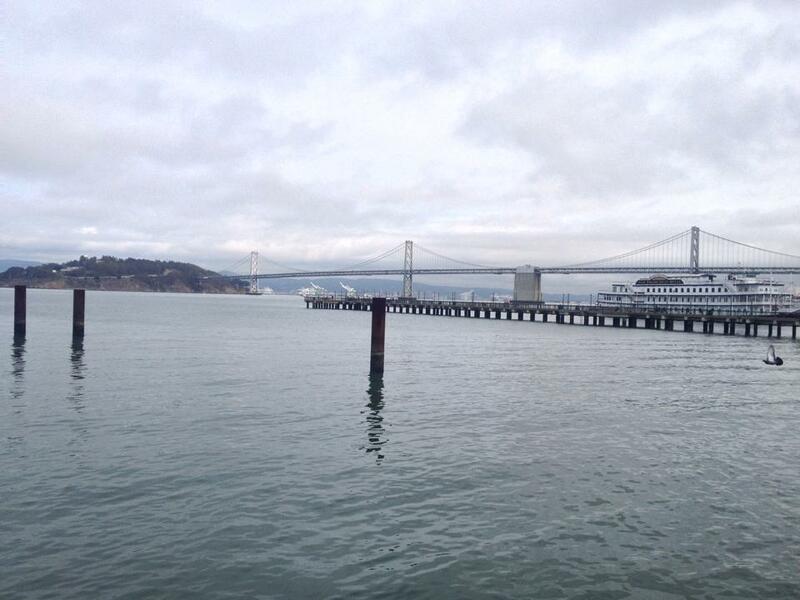 As I walked the San Francisco Embarcadero, my mind drifted to the meaning of what I had experienced. 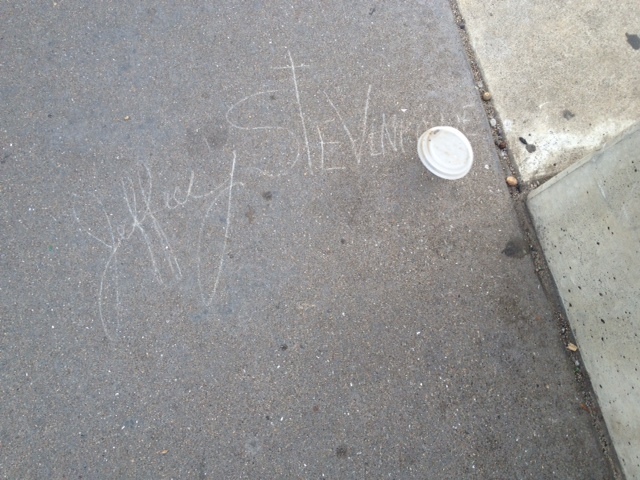 The sidewalk signature triggered a memory of seeing my mother’s handwriting on a recipe that I made at Christmas. Even though mom has been gone for over 30 years, knowing she once held that paper recipe card and inked the page brought me closer to her and transported me back to the kitchen of my childhood where I was baking cinnamon Christmas cookies alongside her. May Jeffery’s signature be a reminder us all that when the worst things happen to us – be it breast cancer, disease, disaster, death – that our signature is our most personal unchanging symbol. It is important that you cannot tell someone’s story by their signature – the pain or pinnacles experienced. Your signature remains largely unchanged and emotes one’s personality. Sometimes I wonder if circumstances in my life have changed me. But all I need to do is to sign my name as a reminder that my outward indicia is indeed me. Even if I’ve dropped a letter or two off my married last name over the years, my signature is part of my personal brand and the cover of my yet unfinished personal story.